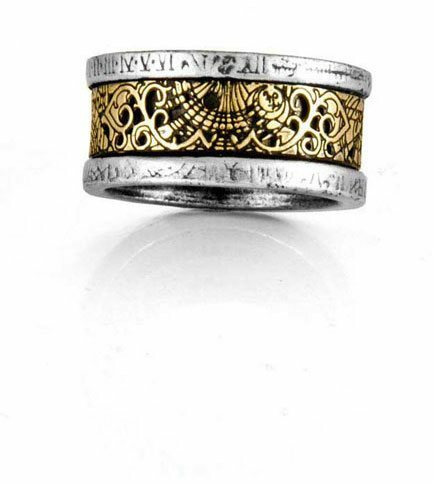 This is a fantastic Steampunk ring displaying beautiful solid brass work laid in pewter. An authentic reproduction of Dr. Von Rosensteins indispensable key to the induction matrix. By Gothic Alchemy. 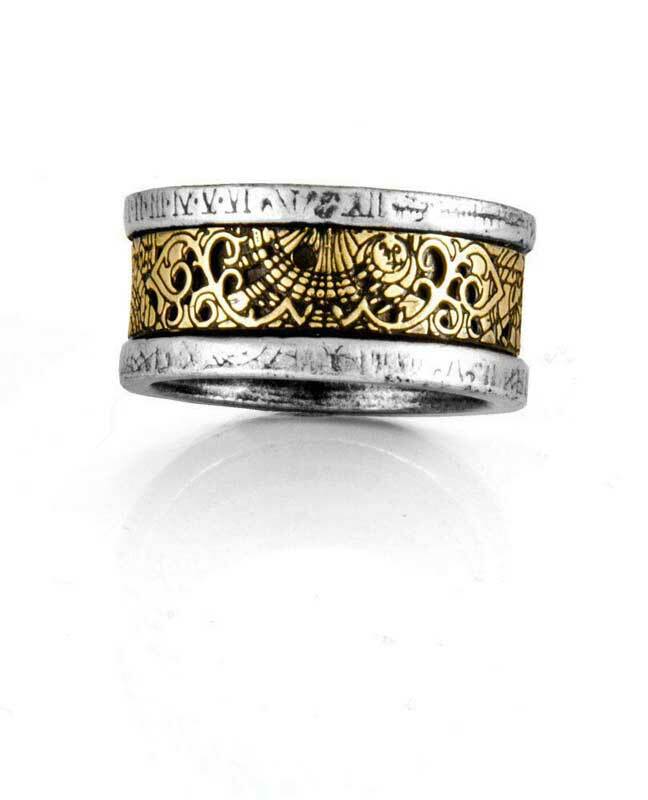 This ring is totally awesome! And i'm very thankful to Rivithead's sizing chart as it fits perfectly. Goes with my Spectroscopic Nocturnium bracelet from Alchemy. Thanks Rivithead! Got this ring today, and I have to say, I adore it. I've wanted it for over two years. It looks alot better in person than in the picture, which impressed me ever more. It fit perfectly and I dont even notice its there (which is strange, because I am not a ring person). All the edges on mine are smooth and... well, It's an awesome ring. Great accessory for anyone. Best looking ring, band had sharp edges and lower than average quality. Don't let it get caught in the water. The band loses its luster.